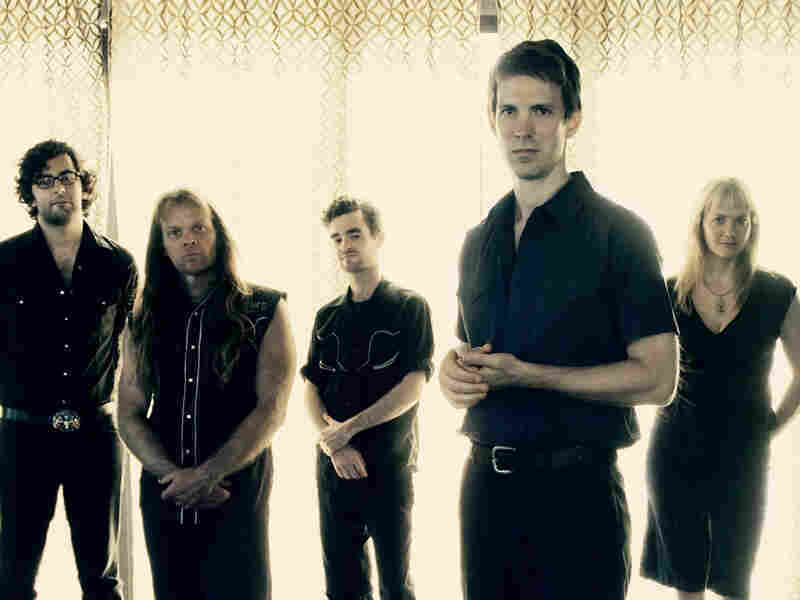 Exclusive First Listen: Shearwater's 'The Golden Archipelago' Shearwater's delicate, dramatic new album, The Golden Archipelago, wasn't built for earbuds or tinny car stereos: This is immersive, artful music, meant to be examined in-depth from every angle. The album will stream at NPR Music in its entirety for the two weeks leading up to its release on Feb. 23. Audio for this feature is no longer available. The album was released on Feb. 23. Shearwater's delicate, dramatic new album, The Golden Archipelago, wasn't built for earbuds or tinny car stereos: This is immersive, artful music, meant to be examined in-depth from every angle. As if to prove that point, singer-guitarist Jonathan Meiburg assembled an elaborate and appropriately oblique 75-page "dossier" to go with deluxe editions of the record. Filled with maps, charts, art and photos, the dossier only enhances the otherworldly mystery of music that fuses instrumental majesty and natural beauty. A working bird scientist when he's not slogging through clubs with his ace backing band — bassist Kimberly Burke, versatile drummer and multi-instrumentalist Thor Harris, and frequent collaborators Kevin Schneider and Jordan Geiger — Meiburg isn't afraid to infuse his arty rock with field recordings and the terminology of ecology, and to let his ambitions sprawl in ways both gentle and gargantuan. Shearwater is fearless in its seriousness and often awe-inspiring loveliness: As The Golden Archipelago finds him examining humanity's complex relationships with nature, Meiburg's whispers can hit like screams, and when he screams, the effect is so clean and graceful, it's strangely calming. Meiburg got his start in another thematically ambitious band, Okkervil River, with Shearwater functioning as a side project. But in recent years, Shearwater has become a full-time job whose work equals and often exceeds that of its better-known cousin. On The Golden Archipelago, Shearwater's songs flow together fluidly, to the point where they work best as a 38-minute whole. Fortunately, you can hear them exactly as intended by clicking the link above: The album will stream on this page in its entirety for the two weeks leading up to its release on Feb. 23. Please give The Golden Archipelago a listen — without interruption and on headphones, if possible — and leave your thoughts on the album in the comments section below.